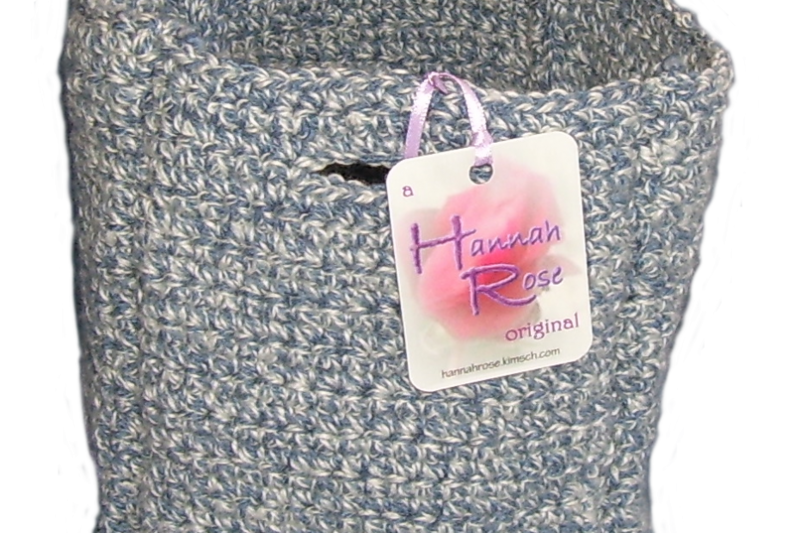 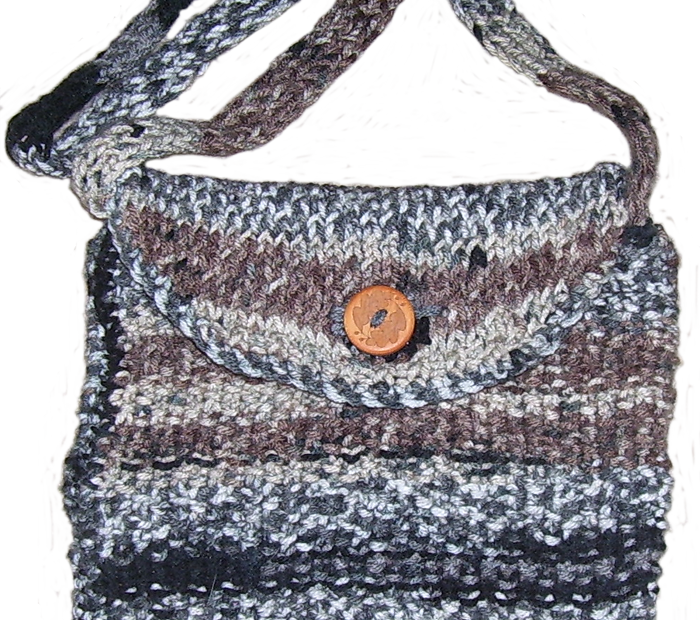 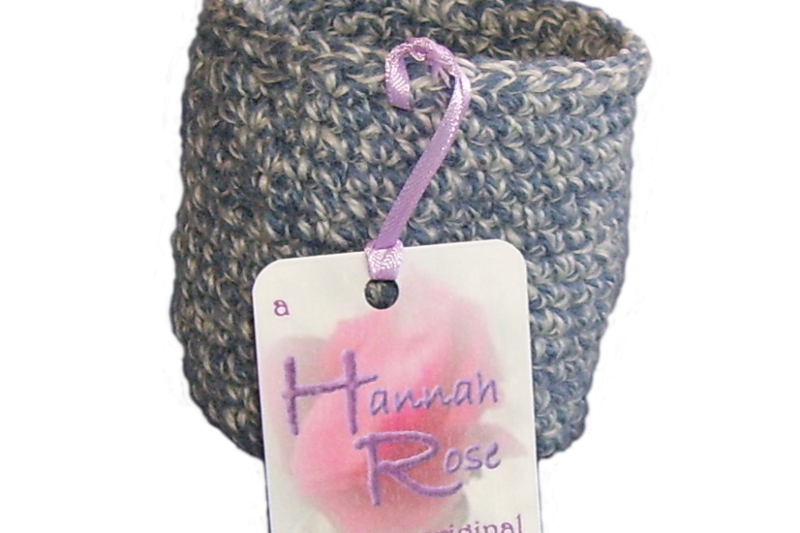 Earthtoned bag with envelope closure. 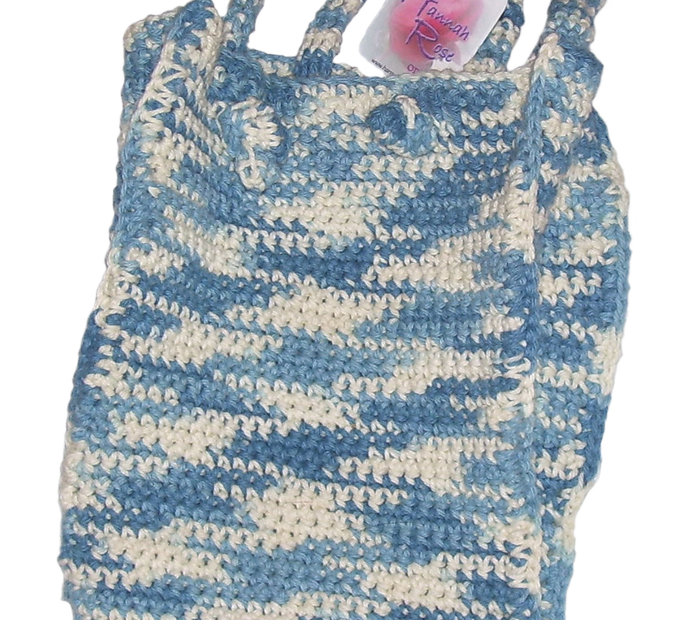 Blue and white handbag with two handles. 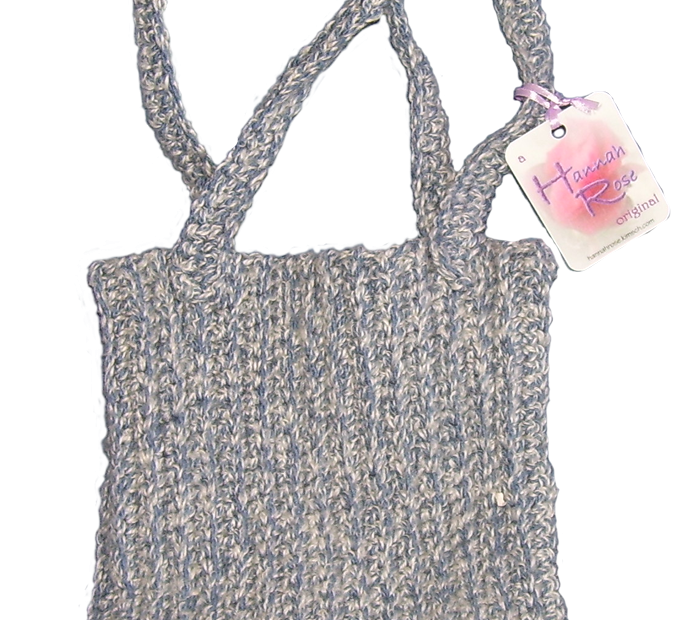 Makes a great lunch bag. 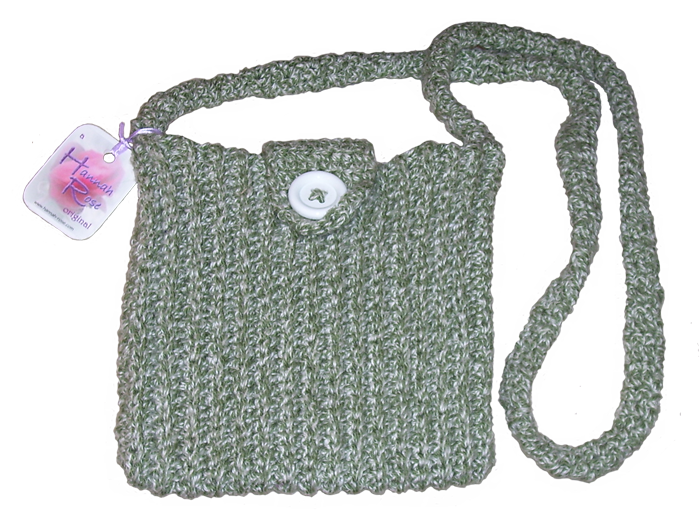 Green tweedy shoulder bag with white button closure.